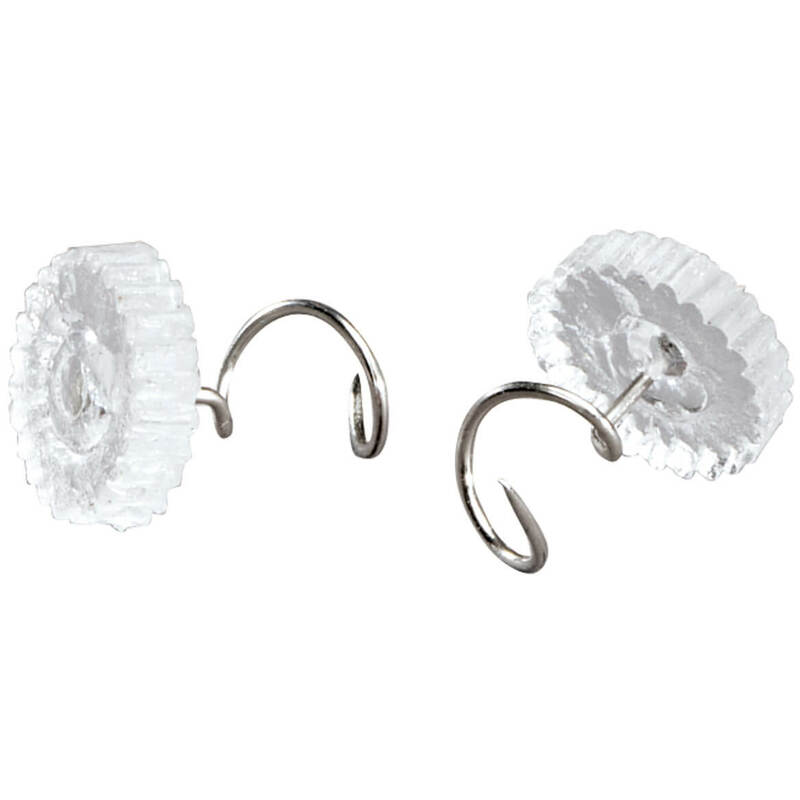 Clear corkscrew upholstery twist pins hold furniture covers, arm protectors, doilies and throws neatly in place—no shifting or fuss! Simply twist in to secure; out to release. Plastic, metal. Set of 24. Each, 5/8″ long x 3/8″dia. 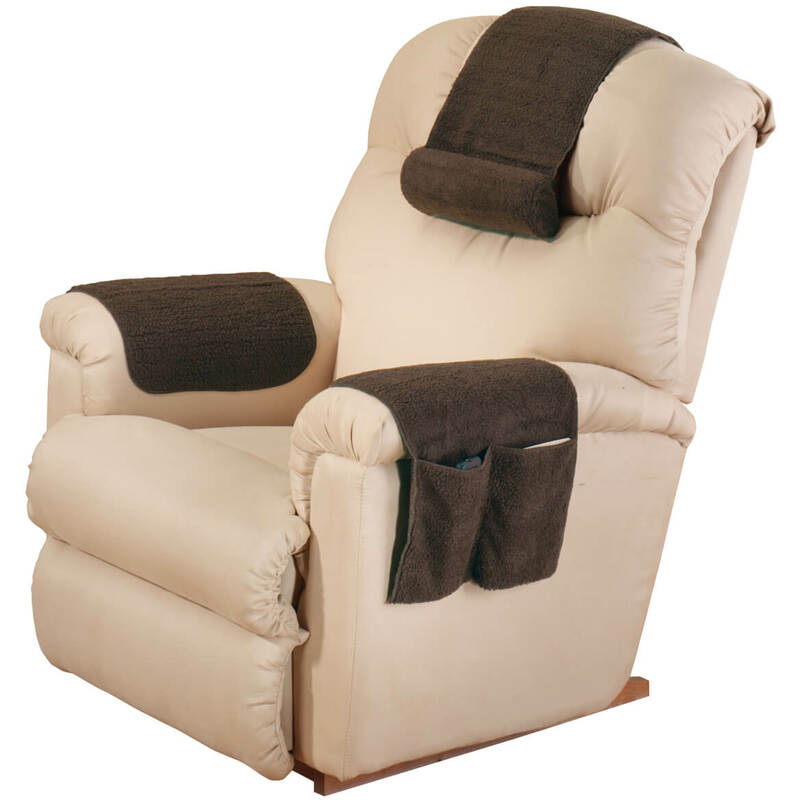 Sherpa armchair set by OakRidge™ protects your favorite chair. Sherpa arm rest organizer pockets keep essentials like glasses and remote controls close at hand. 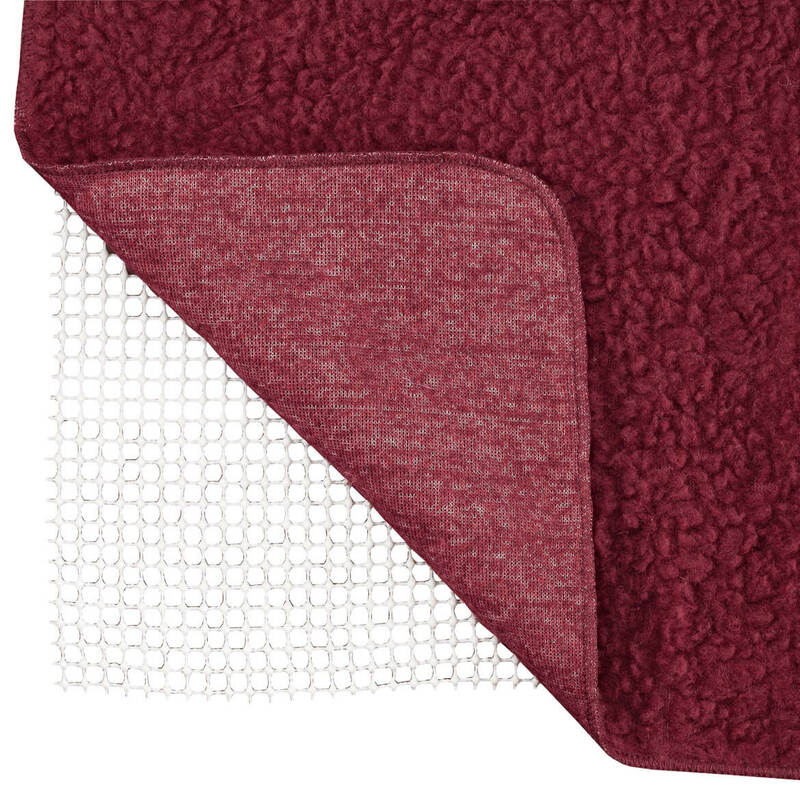 Covers made of cozy fleece in washable polyester/acrylic. 3-pc. set includes 1 standard armrest cover 14 1/2″ x 15 1/2″, 1 arm rest organizer: 14 1/2″ x 19 1/2″, and 1 headrest: 13″ x 20″. Armchair caddy provides 6 pockets for remotes, glasses, books and more! Chair organizer also features a sturdy surface for snacking or writing. Conveniently fits chair or sofa armrest. Polyester, wood; spot clean. 11″ long x 5 1/2″ wide x 3/4″ high. 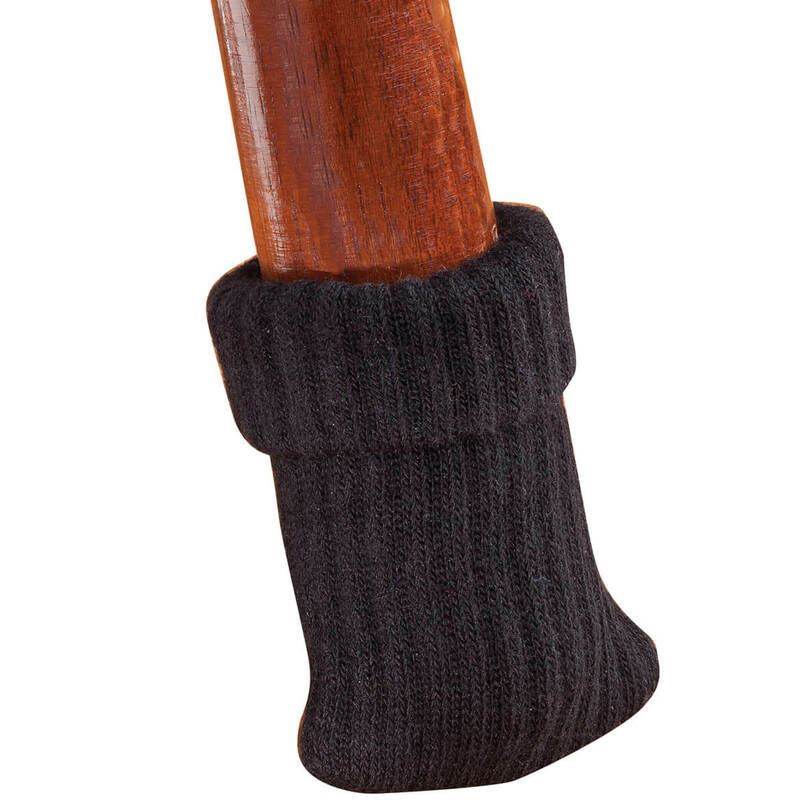 Furniture socks protect your floors and your furniture from scratches and damage. 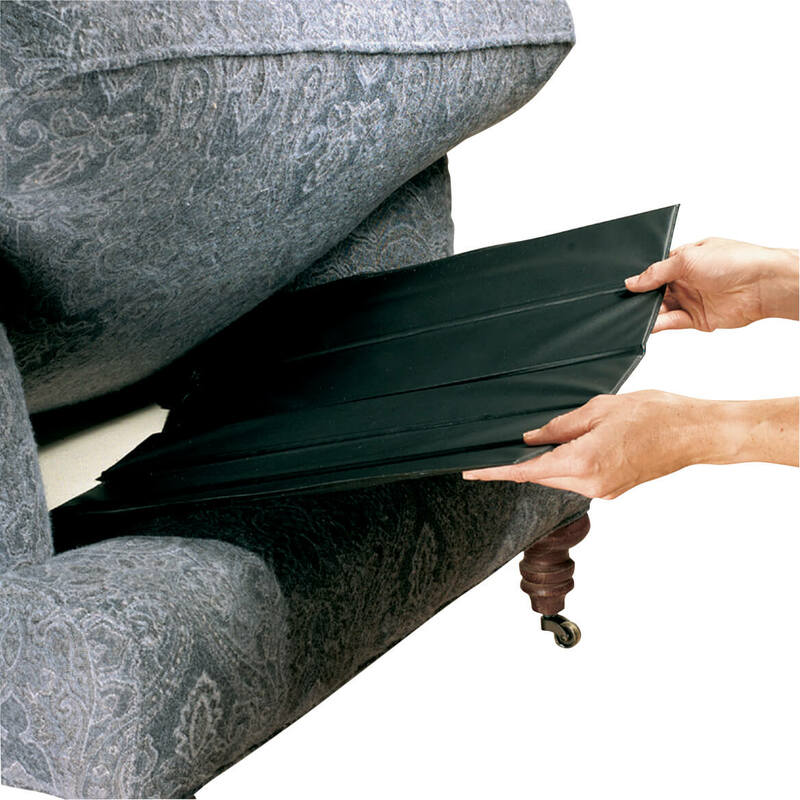 Ribbed furniture feet help chairs slide quietly and easily — no more felt pads falling off. Cotton and spandex stretches for an easy fit. Furniture glides are great for chair, tables and antique pieces. Available in 4 colors to complement any décor: black, white, tan or chocolate brown. Set of 8. Machine wash; tumble dry low. Handsome, patchwork leather armchair caddy slips over arm of sofa, chair or recliner—keeping necessities in reach while you relax. Armchair caddy has two side pockets to hold remote, Sudoku puzzles, eyeglasses, phone and more. Armchair organizer is best suited for woven upholstery; features non-slip fabric backing. Spot clean. 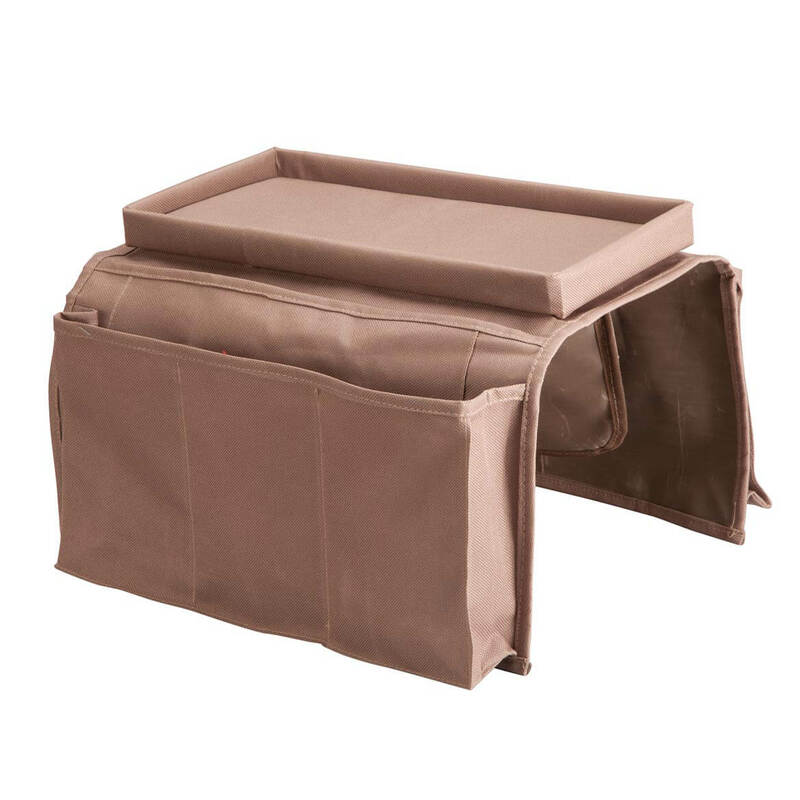 Armchair caddy organizer is 25 3/5″ long x 14 3/5″ wide. Raise your recliner for in-and-out ease. Handy recliner risers raise your chair’s height by 3″–4″ for confidence when you sit and stand with less strain on your back, hips and knees. Reversible design allows you to choose from 2 installation methods: Use the slotted side with included adhesive to add 3″ of height; or if your furniture has legs, insert them into the indented side for 4″ of additional height. Non-skid material helps prevent slipping and sliding. 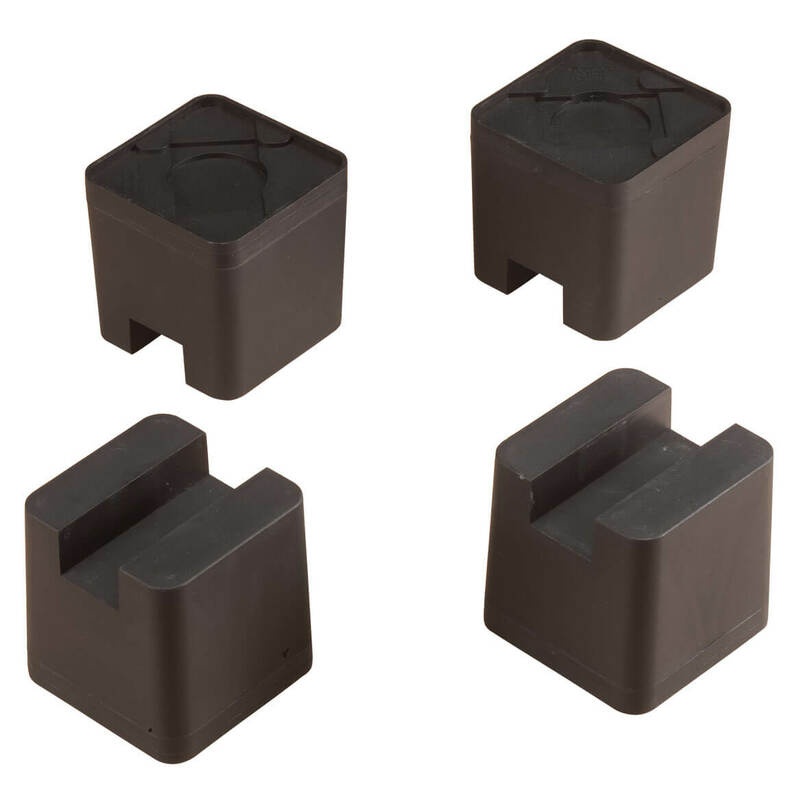 When properly installed, this set of 4 chair risers supports up to 600 lbs. Two people recommended for installation. Set of 4 furniture lifts, each 3 3/4″ sq. x 4″ high. Extra-durable polypropylene. Imported. 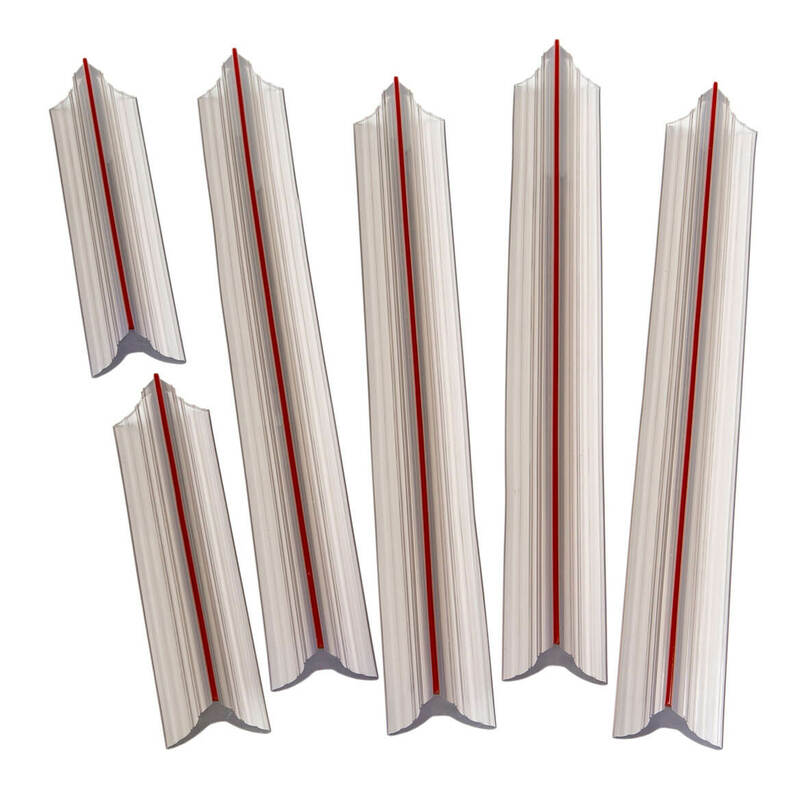 Polypropylene; Set of 4; 3 3/4" sq. x 4" high each; Non-skid material; Supports up to 600 lbs. Chairs, sofas and loveseats sag with age and abuse (like grandkids jumping on them). But these sturdy vinyl-covered furniture savers end the sagging, and give new life to your chairs, loveseats, sofas. Furniture supports are made of particle board, divided into panels that fold to fit your seats. Chair – 22″ x 19″. Loveseat – 19″ x 44″. Sofa – 19″ x 66″. Slipcover grip keeps slipcovers in place, even on slippery leather! 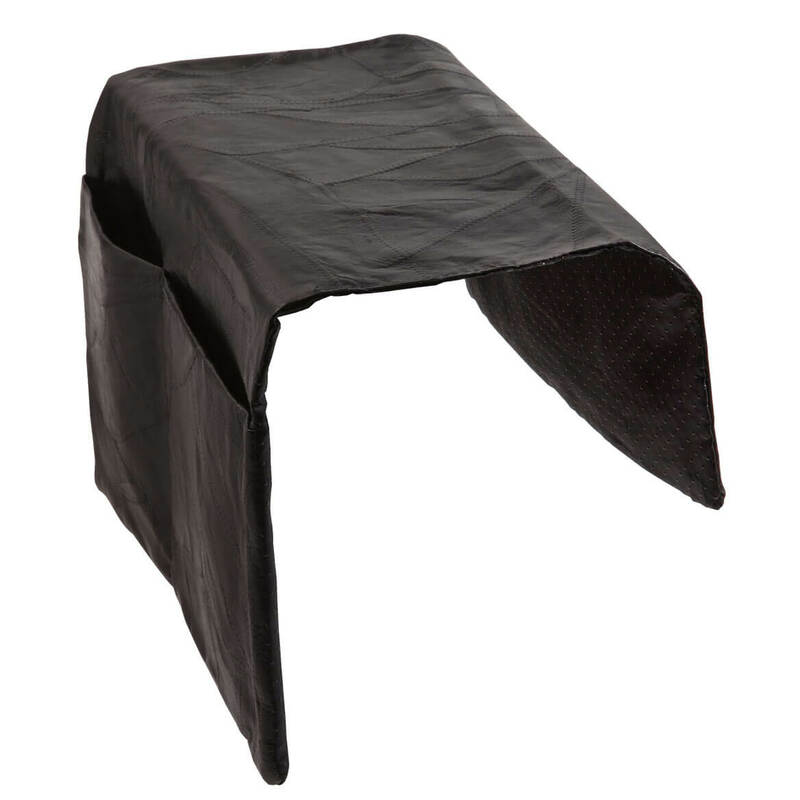 70″ L x 50″ W grip pad holds cover in place without sticky residue. Trim to fit. No more slipcover “slipping”, constant smoothing or retucking—these patented slipcover tuck grips lock fabric in place for a smooth, budge-free fit! The flexible plastic tuck-n-lock grips install in minutes; simply slide into sides and backs of seat cushions to lock and keep a smooth, comfortable fit. Chair pack includes four 11 3/4″ grips and two 6″ grips. Loveseat pack includes six 11 3/4″ grips and two 6″ grips. Sofa pack includes eight 11 3/4″ grips and two 6″ slipcover grips.